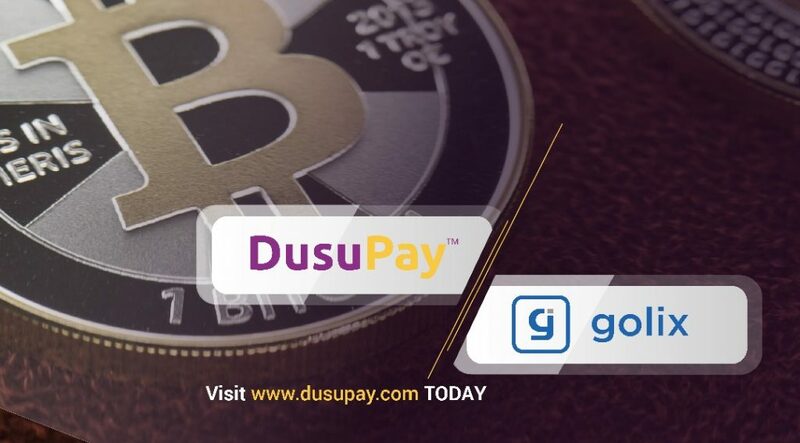 Golix.com the Zimbabwe based bitcoin exchange has partnered with DusuPay to expand its operations across Africa. Golix is more than just a bitcoin exchange, it is a cryptocurrency exchange or platform where various other cryptocurrencies like Ethereum are traded. Bitcoin just happens to be the most popular. Golix actually had to rebrand from BitFinance when they made the move from being just a bitcoin exchange. The company is targeting operations across Africa and as a default it necessitated to include how people on the continent accept and make payments. Keeping in mind that most of Africa pays in different ways such as MPESA for Kenyan, MTN mobile money for Uganda, Online banking for Nigerian and Cards for South African, the best payment alternative suited for such capabilities was DusuPay. DusuPay aggregates a wide variety of payment options from all over Africa, making it possible for Golix to seamlessly accept and make payments using the means people are accustomed to on the continent.